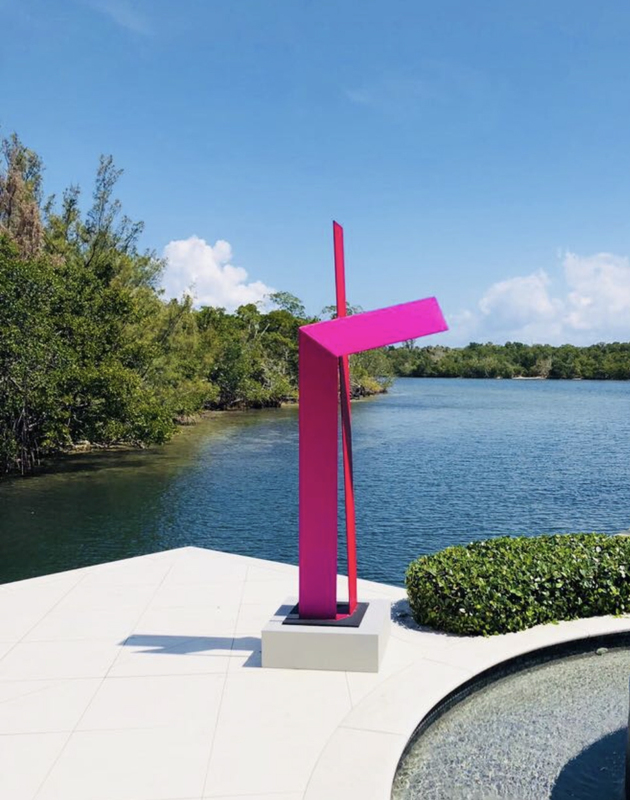 Contemporary Art Projects USA presents the Second Edition of its Annual Pre-Art Basel Miami Week Exhibition: “ART from Our Earth, the Sea and the Sky” curated by its Chief Curator, Mariavelia Savino at ArtsPark @ Young Circle Gallery, located in the One Young Circle, Hollywood, Florida. Opening Reception will take place on September 6th, 2018. 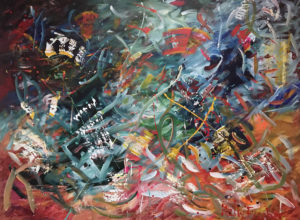 Collectors will have the opportunity to view a significant selection of emerging or career artists, widely exhibited in the US and abroad, original and excellent in technique and artist proposal. 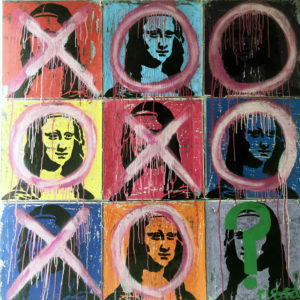 Ricardo will show a painting from his celebrated Series Tribute to the Great Masters made on his canvas of cement and iron bars using as background a Tic Tac Toe game to depict nine images of a Master Artist in a multicolored Warhol manner. American Sculptor who will present from his new series of work “Lines” on aluminum few pieces. He has been influenced by great international master artists as John Henry, Marc Di Suvero, Anthony Caro and Franz Weissman. As well, he will present at the Entrance of the Exhibition during the Opening Reception, “The Big Red Clover”, part of Giants in the City Project: Monumental Inflatable Sculptures. The Big Red Clover. Monumental.Inflatable Sculpture. 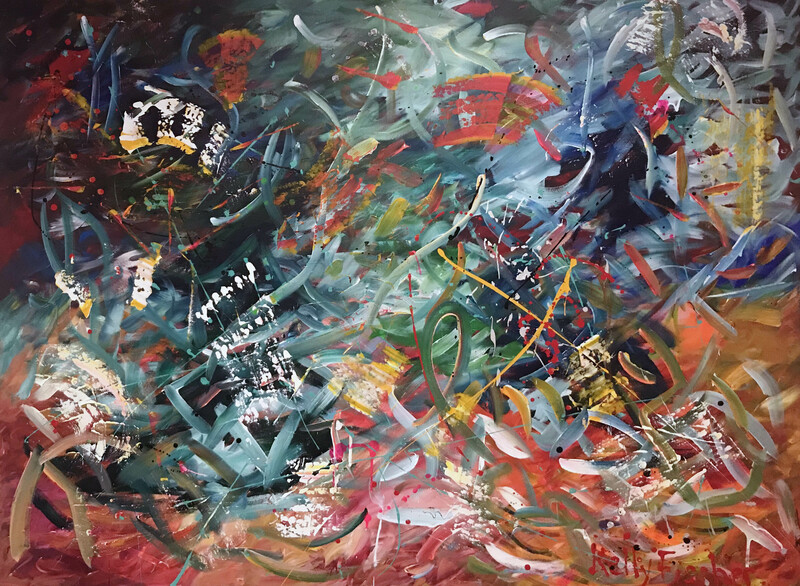 Kelly Fischer, represented by Contemporary Art Projects is presenting this special oversize artwork created on canvas. Part of her 2018 collection which is exhibiting concurrently to this exhibition at her Solo Exhibition “The Most Beautiful Color of All” the MDC West Campus Art Gallery, Doral, organized in cooperation with Contemporary Art Project USA and curated by Mariavelia Savino. Her Solo Show will be on display until October 12|2018. The exhibition will take place from August 6 – October 3, 2018. Monday thru Thursday 11:00a.m. to 8:00p.m. Opening Reception | September 6th | 7:00p.m. to 9:00p.m. One Young Circle, Hollywood, Florida 33020.